There is essentially no information regarding flow direction for the hydrostratigraphic units below the Floridan aquifer. 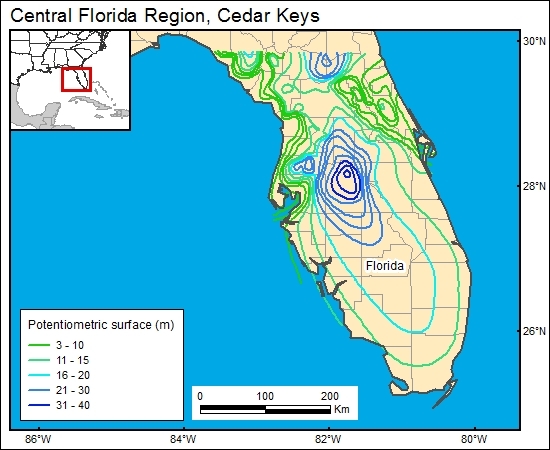 For the GIS, we used the map of Meyer (1989), which characterizes flow in the Floridan. Flow in the lower Cedar Keys and upper Lawson Dolomite is unknown.